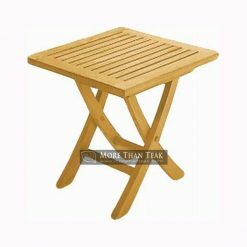 Rectangular extending table with support legs allow you to get a sturdy table placed in the park. 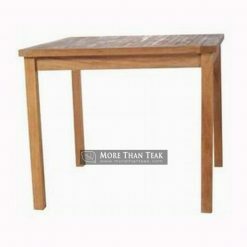 The design of extending this table was made with great care by professionals in the field of teak furniture. This table has the facility to change the size to be larger. Food dish can load more if extended. 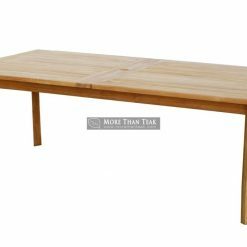 With a stylish rectangular shape, extending table can be placed at an angle in your outdoor patio and garden. Is perfect for large family dining together. 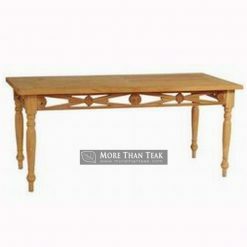 You’ll love how practical has extending table with legs of the table are a special and strong. 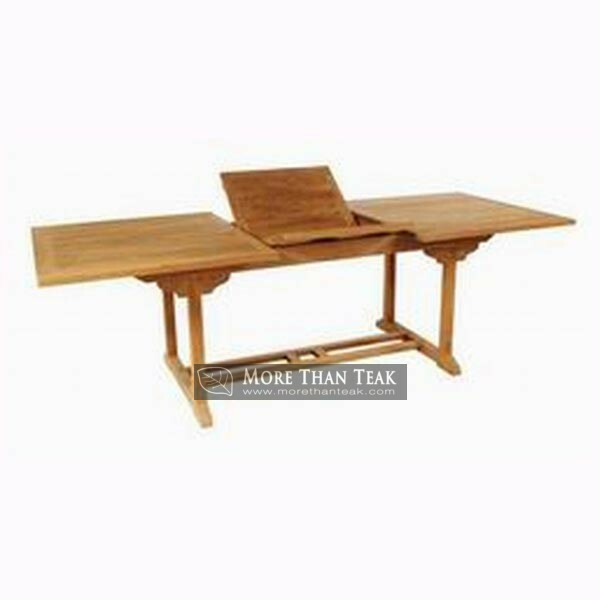 Made of teak wood from tropical forests in Indonesia. 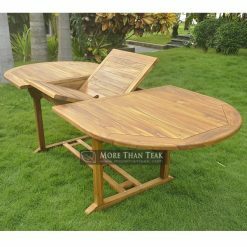 We apply teak wood furniture manufacturing process starting from basic ingredients. With the maturation process of wood that is resistant to the weather, as well as a perfect polishing. 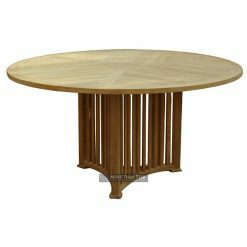 With a cross-section on both sides that can be folded and extended to the side, you can install these tables as you wish. 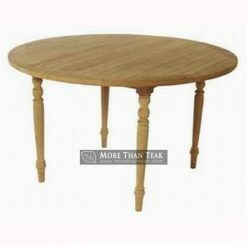 You can enjoy a cup of coffee in the morning with a small table, or with friends with a wider table. Make sure you see the size shown in the photo. You can adjust the size of the outdoor area you will use as a dining area. Suitable also to complement the space of cafes and restaurants. Durable and beautiful in appearance, do not miss the chance, order now.